Nostalgia Electrics Hard Candy Cotton Candy Maker Just $24.99 Down From $49.99 At Best Buy! You are here: Home / Great Deals / Nostalgia Electrics Hard Candy Cotton Candy Maker Just $24.99 Down From $49.99 At Best Buy! 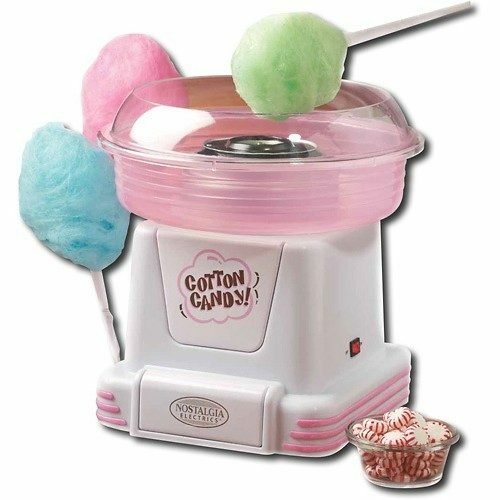 Best Buy has this fun Nostalgia Electrics Hard Candy Cotton Candy Maker on sale for $24.99 (Reg. $49.99) + FREE in-store pick up! Spin your favorite sugar or sugar free hard candy into delicious cotton candy at home with this cotton candy maker that features a translucent bowl, allowing you to see each batch being made.